Cultural context, even as it relates to single films, is a difficult issue to fully unpack. 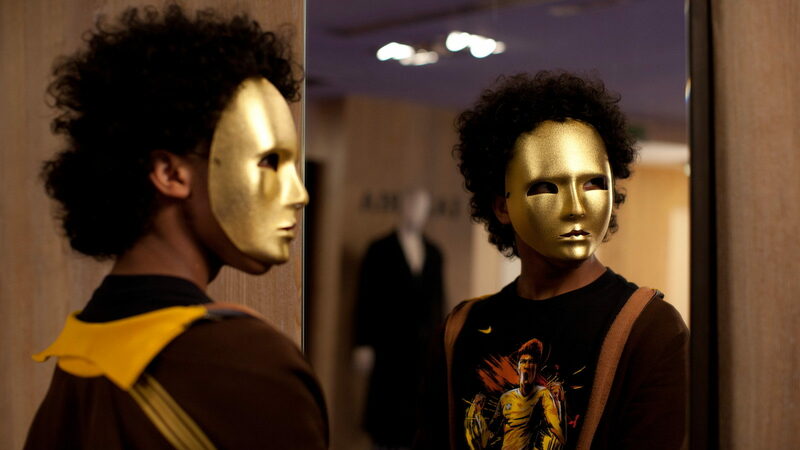 In the case of Bertrand Bonello’s Nocturama, which plays this week for one night only at the Northwest Film Forum, this idea is especially relevant, given the curious nature of its reception both here and across the pond in its home country of France. This is perhaps to be expected, on account of its incendiary subject matter, but all of these reactions, praise and criticism alike, stem from the extravagance, the seemingly inappropriate ways in which the film presents its ideas. But, crucially, Nocturama is less a film of ideas than of images, of mindsets that remain just out of focus. The scenario itself is fairly simple: a group of terrorists – all of whom are young adults, half white upper-class and half Arabic lower-class – execute a highly coordinated series of simultaneous attacks around Paris, and hole up for the night in a popular, cavernous shopping mall, à la Dawn of the Dead. The motivations are purposefully left largely unstated: many mentions of capitalism and its ill-effects are made in two extended flashbacks during the film’s first half (there is even a statement that states that the existence of capitalism is a precondition for the downfall of capitalism) but no affiliation with any specific ideology is otherwise named, and each and every member of the crew slowly succumbs to the decadent pleasures of the mall’s many products and accoutrements. In a structural gambit that pays many dividends, especially during the harrowing climax, Nocturama is conducted from so many perspectives that the action is somewhat jumbled; despite the frequent use of on-screen timestamps, the main thread of coherence lies in the rush of movement and motivation from the cast (all of whom possess astonishingly emotive faces, presenting varying levels of fear and determination). Such a bare-bones description is fundamentally inadequate for any competently-directed film, but especially for this movie and the films of Bertrand Bonello in general. Bonello, as evinced in previous works such as House of Tolerance and Saint Laurent, is known and justly praised for his sense of space and flair, largely expressed through snaking Steadicam long takes. While those other two movies are all about languor (I cannot speak to the contents of his films prior to those), Nocturama takes tension and mounting dread as its modus operandi, in both the first half, dedicated to the execution of the bombings, and the second, which takes place almost entirely inside the mall, with only a few brief sojourns to the eerily quiet city just outside the soundproofed walls. At least in a film this focused, such an approach fits like a glove, moving with a precision that often mirrors that of the characters, at least until they slip up. It was almost inevitable that Nocturama would come under some form of scrutiny for utilizing such flagrant cinematic techniques, including the use of both Bonello’s own pulsing electronic score and some choice cuts that run the gamut from a show-stopping lip sync of Shirley Bassey’s rendition of “My Way” to Chief Keef’s “I Don’t Like” to Willow Smith’s “Whip My Hair.” But it is as much a victim of poor timing: attacks occurred in Paris both during production (which caused the change in title from the phenomenal Paris Is a Party) and leading up to the release, and as a result it was received with roundly mixed reviews in that country, with some labeling the film as irresponsible. These reactions were much less prevalent when the movie opened here, perhaps because no “significant” attack has occurred in the past few months. But at the same time, there is an increased urgency in the present, modern moment, a darkness and pessimism that is mirrored and amplified in this film. After my slightly more mixed view of the film when I saw it at SIFF, I rewatched it this past week in New York, and I was struck anew by how vivid, how confidently sleek Nocturama feels, on its own and in comparison to many of the more pedestrian films this year. Seen in a city whose intestines are made of subways not so different from the ones that are so crucial to the first half of the film, more and more resonances emerge from the elegant surfaces, whether it be thematic or purely on a gut level. And, at the end of the day, perhaps only the body matters, whether it is alive in ecstatic motion or silenced by the efficient crack of a gunshot.